On January 10, 2019, the Canadian Mining Hall of Fame (CMHF) will welcome five individuals who have made lasting contributions to Canada’s mining industry: Kate Carmack (joining the Klondike Discoverers), James Franklin, James Gill, Sandy Laird and Brian Meikle. 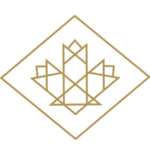 The Canadian Mining Hall of Fame is now accepting nominations for individuals who embody outstanding achievement in mining and who demonstrate the important role the sector and its leaders play in our Canadian society and economy. On January 11, 2018, the Canadian Mining Hall of Fame (CMHF) will welcome four industry champions - Ross Beaty, Bob Gannicott, Terry MacGibbon and Ed Thompson - to its prestigious group of 177 mining hall of famers. The Canadian Mining Hall of Fame (CMHF) has issued its 2018 Call for Nominations. Each year, the CMHF reaches out through its broad network in search of outstanding individuals for consideration by the Board for induction into the Canadian Mining Hall of Fame at the annual induction celebration. The Canadian Mining Hall of Fame (CMHF) has issued its yearly call for nominations that will lead to the induction of a new group of individuals in January 2017. Due to overwhelming demand, the next group of inductees into the Canadian Mining Hall of Fame will be celebrated at a new venue for the first time in 29 years. On January 12, 2017, the Mining Hall of Fame’s Annual awards evening will officially move to the Metro Toronto Convention Centre. The Canadian Mining Hall of Fame will induct five new members at its 28th annual induction ceremony, to be held on Thursday, January 14, 2016, at the Fairmont Royal York Hotel, Toronto. The new inductees will join the 165 men and two women previously inducted into the Mining Hall of Fame, which was established in 1988. The Canadian Mining Hall of Fame (CMHF) has issued its yearly call for nominations that will lead to the induction of a new group of individuals in January 2016. The Canadian Mining Hall of Fame will induct four new members at its 27th annual induction ceremony, to be held tomorrow, Thursday, January 17, 2015, at the Fairmont Royal York Hotel, Toronto. The new inductees will join the 161 men and two women previously inducted into the Mining Hall of Fame, which was established in 1988. The Canadian Mining Hall of Fame (CMHF) has issued its yearly call for nominations that will lead to the induction of a new group of individuals in January 2015. The Canadian Mining Hall of Fame will induct four new members at its 26th annual induction ceremony, to be held tomorrow, Thursday, January 16, 2014, at the Fairmont Royal York Hotel, Toronto. The new inductees will join the 158 men and one woman previously inducted into the Mining Hall of Fame, which was established in 1988. The Canadian Mining Hall of Fame (CMHF) has issued its yearly call for nominations that will lead to the induction of a new group of individuals in January 2014. In 2012, the Canadian Mining Hall of Fame held a songwriting contest, with the winners to be announced at the 25th Annual Dinner and Induction Ceremony, held on January 10th, 2013. The Canadian Mining Hall of Fame will induct four new members at its 25th annual induction ceremony, to be held tomorrow evening, January 10, 2013, at the Fairmont Royal York Hotel, Toronto. The new inductees will join the 154 men and one woman previously inducted into the Mining Hall of Fame, which was established in 1988. The Canadian Mining Hall of Fame (CMHF) has issued its yearly call for nominations that will lead to the induction of a new group of individuals in January 2013. The Canadian Mining Hall of Fame will induct five new members at its 24th annual induction ceremony, to be held tomorrow evening, January 12, 2012, at the Fairmont Royal York Hotel, Toronto. The new inductees will join the 149 men and one woman previously inducted into the Mining Hall of Fame, which was established in 1988. The Canadian Mining Hall of Fame (CMHF) has issued its yearly call for nominations that will lead to the induction of a new group of individuals in January 2012. The Canadian Mining Hall of Fame will induct three new members at its 23rd annual induction ceremony, to be held tomorrow evening, January 13, 2011, at the Fairmont Royal York Hotel, Toronto. The new inductees will join the 146 men and one woman previously inducted into the Mining Hall of Fame which was established in 1988. The Canadian Mining Hall of Fame (CMHF) has issued its yearly call for nominations that will lead to the induction of a new group of individuals in January 2011. Individuals and corporations in the mining industry raised over $900,000 for Haiti relief at the 22nd annual induction dinner of the Canadian Mining Hall of Fame in Toronto last night, January 14, 2010. The Canadian Mining Hall of Fame will induct seven new members at its 22nd annual induction ceremony, to be held this evening, Thursday, January 14, 2010, at the Fairmont Royal York Hotel, Toronto. The new inductees will bring the total number of members in the Hall of Fame to 147 since the Hall was established in 1988. The Canadian Mining Hall of Fame (CMHF) has issued its yearly call for nominations that will lead to the induction of a new group of individuals in January 2010. The Canadian Mining Hall of Fame will induct four new members at its 21st annual induction ceremony, to be held this evening, Thursday, January 15, 2009, at the Fairmont Royal York Hotel, Toronto. The new inductees will bring the total number of members in the Hall of Fame to 140 since the Hall was established in 1988. The Canadian Mining Hall of Fame (CMHF) has issued its yearly call for nominations that will lead to the induction of a new group of individuals in January 2009. The Canadian Mining Hall of Fame will induct four new members at its 19 PthP annual induction ceremony, to be held on the evening of Thursday, January 18, 2007, at the Fairmont Royal York Hotel, Toronto. The new inductees will bring the total number of members in the Hall of Fame to 131 since the Hall was established in 1988. January 18, 2007 – RENAISSANCE ROM CAMPAIGN RECEIVES $10 MILLION GIFT FROM TECK COMINCO LIMITED. Stay up-to-date on the latest news from the Canadian Mining Hall of Fame.